This sporty V-neck top features two patch pockets, a pencil pocket, and a coin zipper pocket at the sleeve. 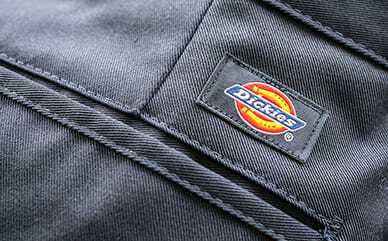 Additional design details include decorative topstitching, Dickies logo rivets, a Dickies tonal woven label, and side vents for ease of movement. Contemporary fit.